If I knew and was really passionate about ramen (I'm not), I'd open up a ramen shop called Fukuoka Ramen or FU Ramen for short. 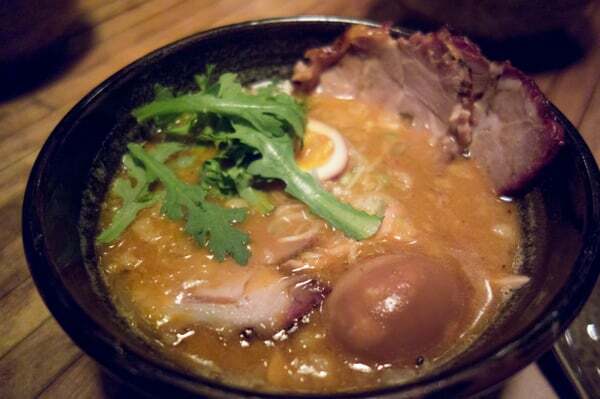 Fukuoka is supposed to have the best ramen anywhere, famed for their tonkatsu ramen, and Fukuoka is also Oakland's sister city. There's a name idea for you for whoever wants to open up a ramen shop in Oakland. Working on the "clean" diet and "core" training routine to get into snowboarding shape for this Winter and hopefully launch me back into Ironman triathlon training. I got a good friend of mine to get me some Bernachon while she was in France. I asked for Day and Night but they were out so she got me one caramel and one hazelnut. 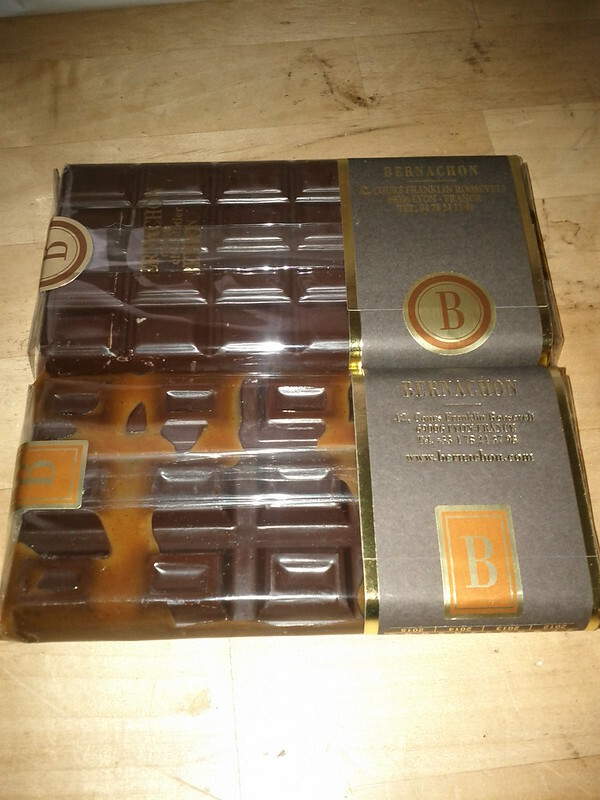 Bernachon could arguably be the best chocolate in the world, just delicious. The caramel didn't last at all and the hazelnut is almost gone. This candy bar — jour et nuit by Bernachon — my sister brought back from Paris was pretty darn great. I need to figure out how to get more of this, might be the best chocolate bar I've ever had. The other chocolates and pate de fruits from Patrick Roger were pretty good too. Just goes to show that "caviar taste on a beer budget" is genetic.